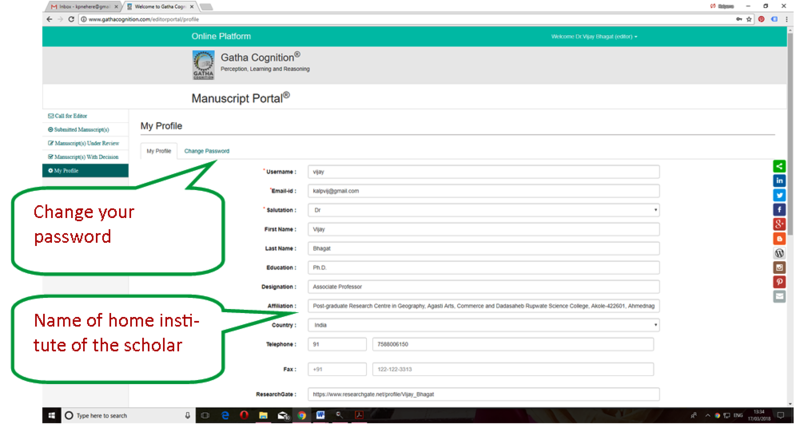 Author should login at ‘Manuscript Portal’ for submission, monitoring and tracking the manuscrip progress. 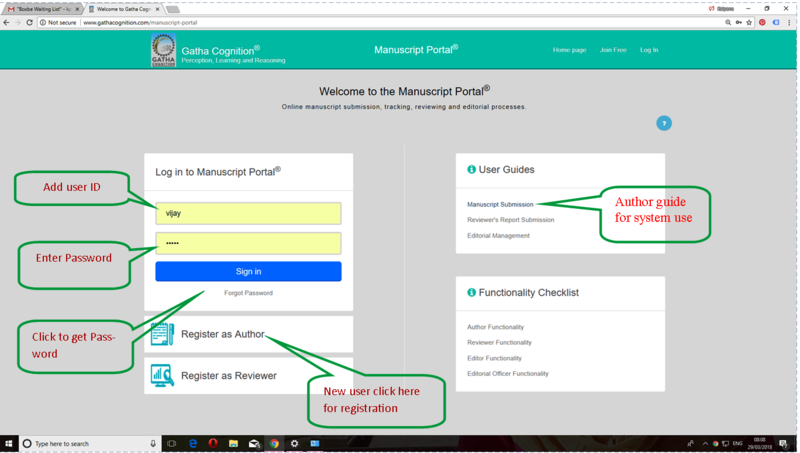 Author can view and download his/her published article from manuscript portal any time. 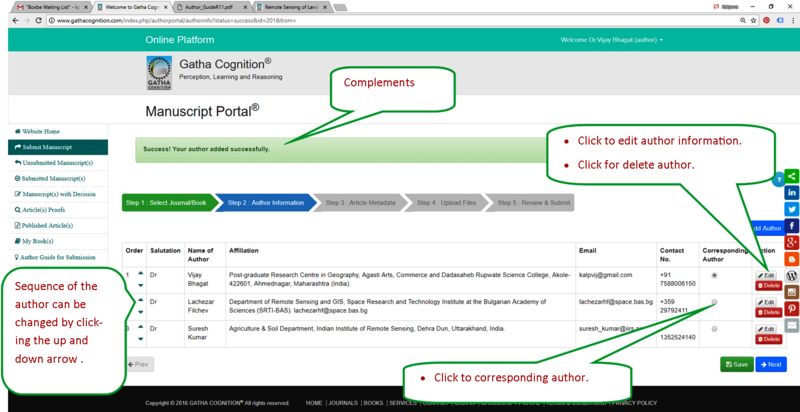 User guide is avalable at the link, ‘Manuacript submission’ from User Guide. 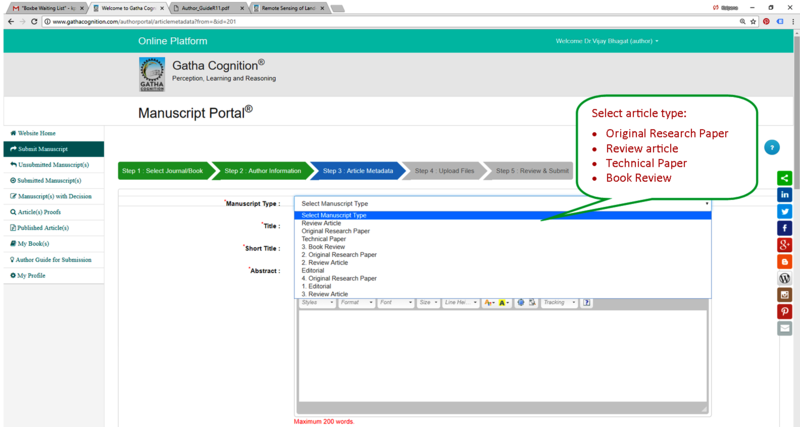 Select option - Author, Reviewer and Editor. Select option the ‘Author’ from dropdown. 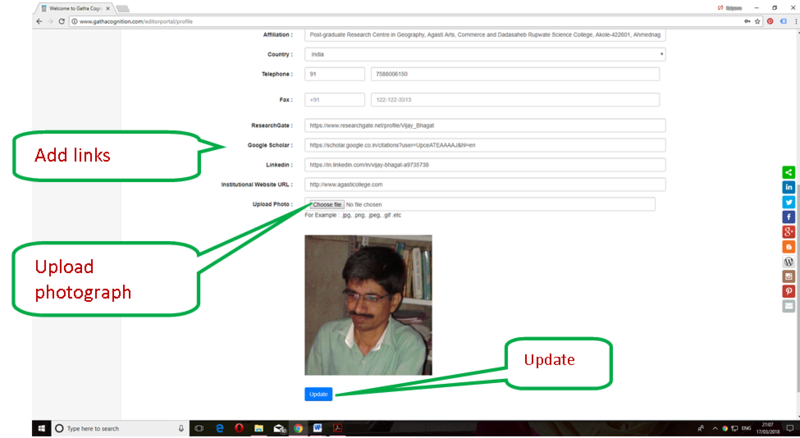 Please check before manuscript submission for successful publication. 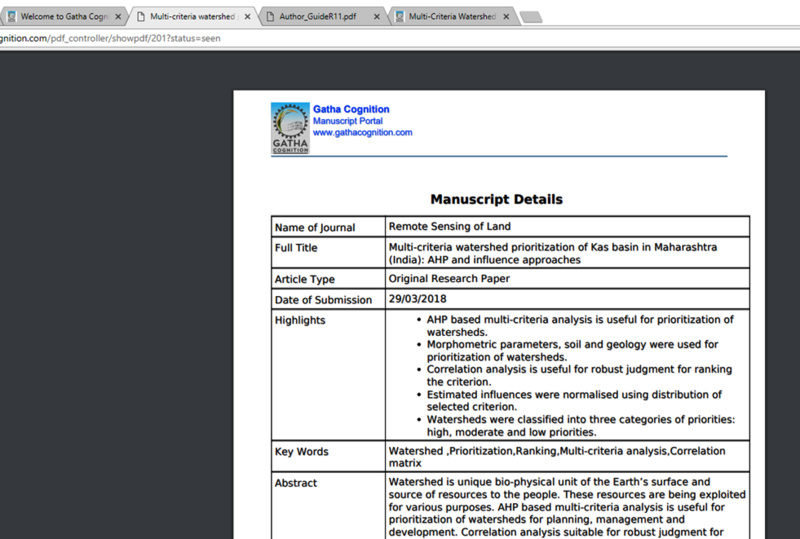 First page prepared separately and information of author(s) not included in manuscript. Author(s) information including full name(s) according to sequence(s), affiliation(s), contacts (telephone, cell, fax, email, etc. ), author for correspondence, etc. given in the first page. Title of the manuscript is prepared well with short headings not more than 50 characters. Abstract length is not more than 200 words. Keywords - 4 to 6. Highlights (4 to 6) are given on separate page. Each highlight is less than 75 characters. Manuscript is checked thoroughly for language corrections including spellings and grammar, used simple and straight forwarded sentences, etc. Graphics prepared neatly and saved at 300 dpi for pictures, maps, photographs and line arts at 600 dpi in TIFF, JPG or PNG formats. Tables are prepared in word processor and editable. 10. Tables and figures are prepared in separate files. Equations are prepared using editable word processor and cited in the text e.g. (equation (1)). 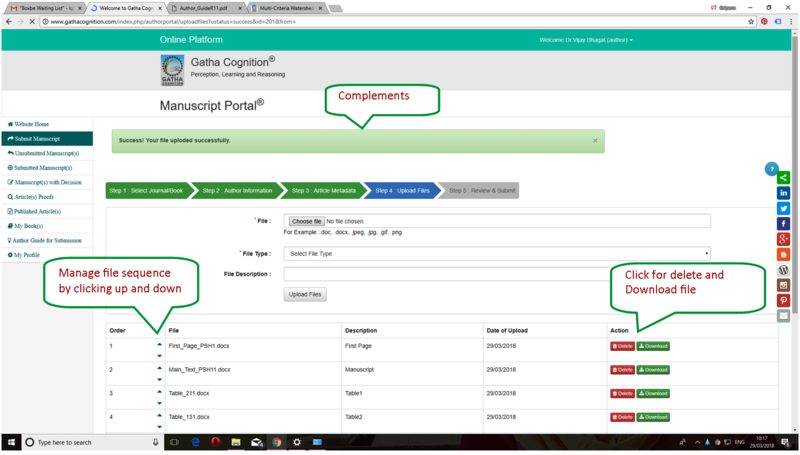 Names of three potential reviewers are selected and required information gathered. Author for correspondence is submitting the manuscript and own copyrights. 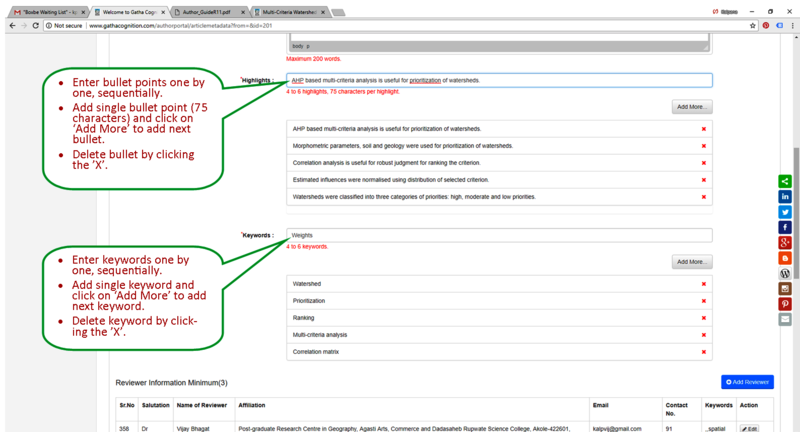 Captions of figures and tables are given on separate page. Text, data, figures, photographs, etc. referred from published literature are quoted and cited properly wherever required. All references are cited in the text and listed in the section of ‘references’. Headings and sub-headings are prepared according to guidelines. Five steps for manuscript submission. 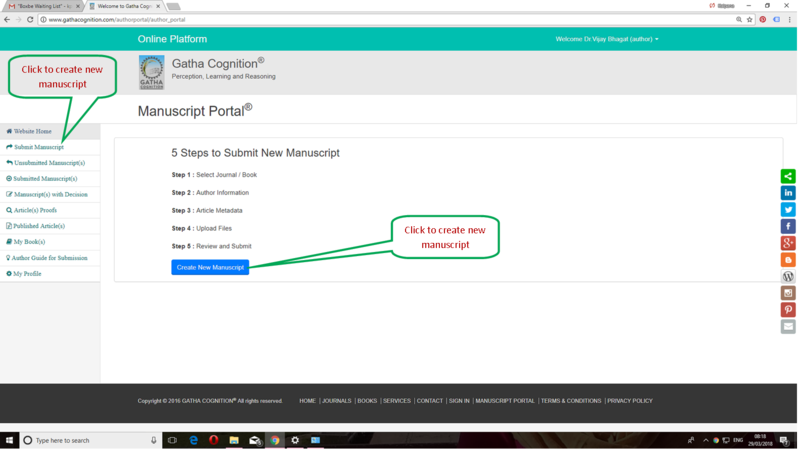 Click ‘Create New Manuscript’ or ‘Submit Manuscript’. Author can download author guide. Don’t forget to ‘Save and click on ‘Next’ for moving to next step. Enter email of the new author and click on ‘add’. 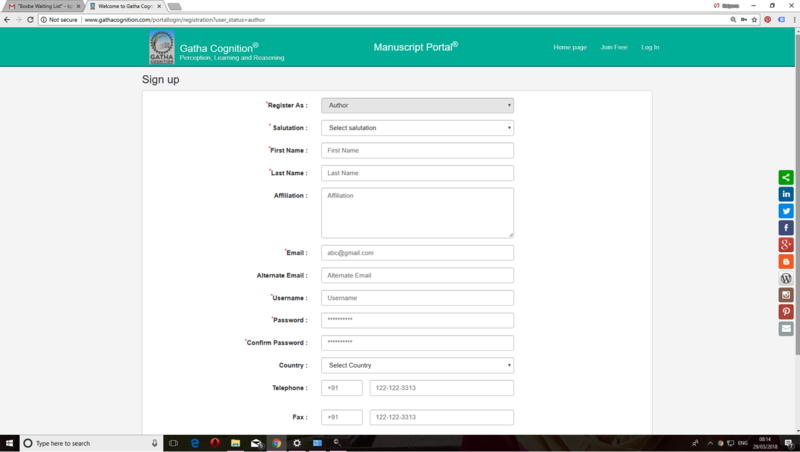 Fill author information in the form including full name, affiliation, contact details, etc. Affiliation is name of the ‘institute’ where author research is conducted. Change sequence of the author. 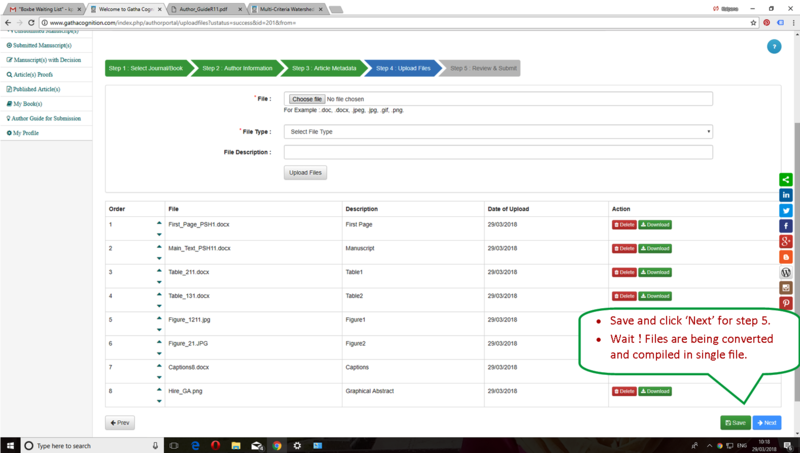 ‘Save’ the information and click ‘Next’ to move in next step, ‘Step-3 Article Metadata’. Add total words in the manuscript. Give number of tables in the manuscript. Give number of figures in the manuscript. Give number of number of color figures. Write letter to the Editor. Upload covering letter, if not given in the text box. 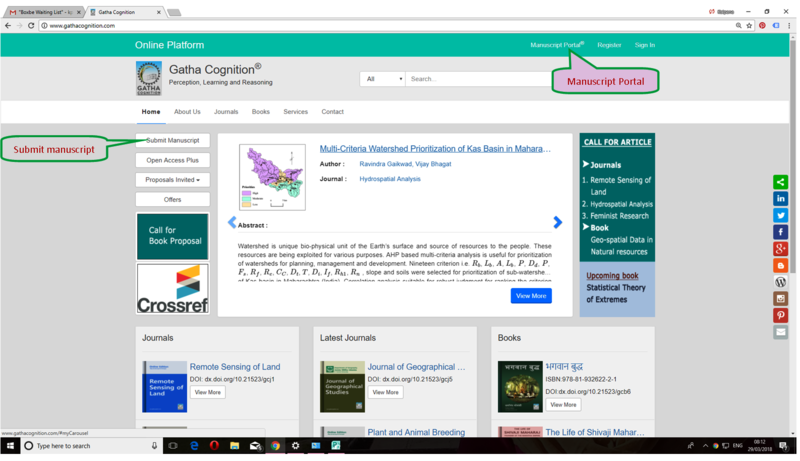 Give information about the manuscript submitted to the selected journal previously, if any. 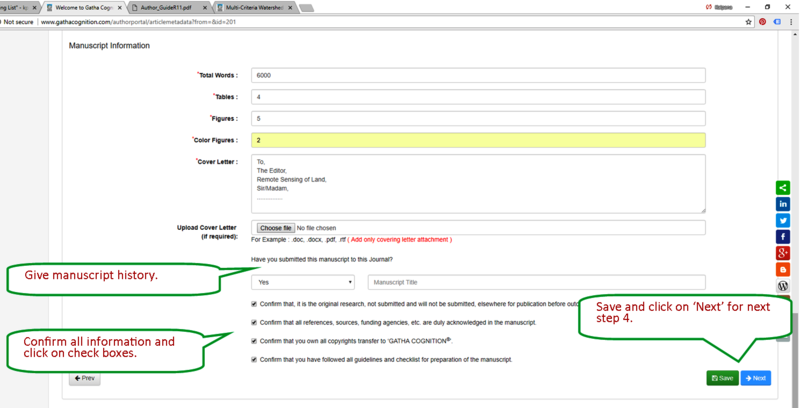 Confirm originality and not submission to elsewhere before final decision of this manuscript. Confirm acknowledgment of sources of information included in the manuscript. Save and click ‘Next’ for next step 4. 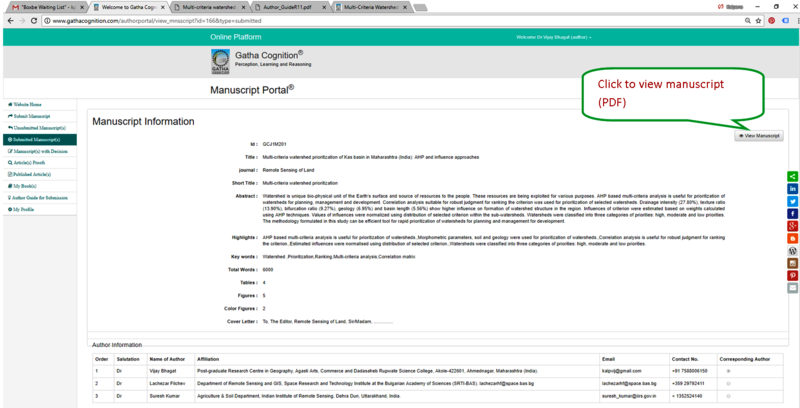 Upload files: first page, manuscript, tables, figures, captions, graphical abstract and answer to comments by reviewers and editor(s), separately. Files of ‘First page’ and ‘Manuscript’ are mandatory. Give single table in single file. Give single figure in single file. Give captions in single file. Give graphical abstract in single file. Upload original editable file only. Select file from computer desktop. Select file type: First page, Manuscript, Table, Figure, Captions, Graphical Abstract, etc. Give description of each file being uploaded. Files are being converted in PDF format in single file. Wait! Files are being converted in PDF. Check all steps are completed (colored green). Update information of incomplete step(s) (colored red). All tabs are green ! 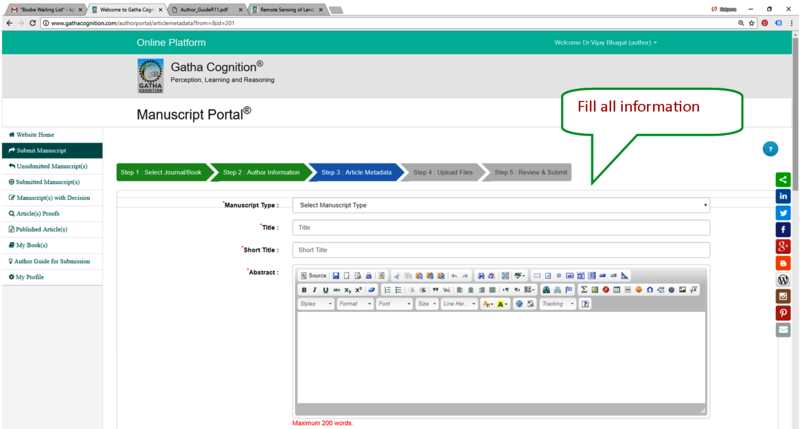 Click on ‘Continue Submission’ instead creating new manuscript. You will get appropriate step of submission. Download composed copy of the article uploaded by the Editorial Office. Upload corrected copy by the author. Approve final composed copy of the article. Upload duly signed and scanned copyright form. View and pay Article Processing Charges (APC) to make article ‘Open Access’.